(FinalCall.com) - The recent ruling by U.S. District Judge Donald Walter in Shreveport, La., restored rights to The Final Call newspaper to an inmate who was unconstitutionally being denied the paper in the David Wade Correctional Center (DWCC). 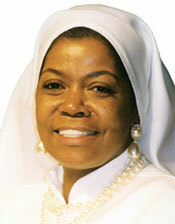 According to Nation of Islam attorney Ava Muhammad, an appeal by the state of Louisiana is expected and welcomed. “We fully expect the state of Louisiana to take this up on appeal to the Fifth Circuit (Court of Appeals). We want them to do that because there are facilities all over the country that are denying inmates access to this paper. It is our position that we need to have this matter settled once and for all,” said Mrs. Muhammad to The Final Call. “We think this is an excellent time and decision that offers us the opportunity to force this issue to final resolution,” said Mrs. Muhammad, who received her Juris Doctorate from Georgetown University. The American Civil Liberties Union ofLouisianabacked the lawsuit of inmate Henry Leonard and filed it May 2007, which was a year after he was restricted from receiving copies of the weekly Nation of Islam newspaper. Attorneys representing Louisiana claimed on behalf of prison officials that the reason behind the censorship was newspaper content deemed racially inflammatory—in particular The Muslim Program, which appears on the inside back page of The Final Call. “They requested an expert testimony from the Nation of Islam to explain The Muslim Program in April 2009. The Honorable Minister Farrakhan gave me that assignment. He asked me to take the deposition, be questioned by the attorney from the state of Louisiana and to explain The Muslim Program,” said Mrs. Muhammad. “They actually wanted to focus on Point No. 4 of What The Muslims Want and to lift that out as being racially inflammatory. I gave a very in-depth explanation and educated them so that they could rise to an understanding that separation—contrary to the idea that this is a racist concept—is actually as the Honorable Elijah Muhammad teaches, the best solution and a peaceful solution,” she argued. Mr. Leonard, who is a former Baton Rouge police officer, was convicted of murdering his estranged wife's boyfriend. He has been a practicing member of the Nation since 1985. According to Mrs. Muhammad, the court also questioned whether it would be sufficient for Mr. Leonard to just sit in on services conducted in the prison by an imam under the late Imam Warith Deen Muhammad, instead of receiving The Final Call. “We objected that on the grounds of Point No. 12 of What The Muslims Believe. That distinguishes us from other Muslims and it does not make us any less than Muslim. We adhere to the principles of the Holy Qur'an. However, absent that cardinal principle (Point No. 12), we cannot follow our faith. That is the core principle of being a follower of the Honorable Elijah Muhammad under the direction of Minister Louis Farrakhan,” said Mrs. Muhammad. On March 31, Judge Donald Walter ruled in favor of the plaintiff on the basis that the prison officials could not deliver any evidence that The Final Call newspaper was the source of any violence. “Again, this Court is concerned that the complete banning of the publication because of the inclusion of “The Muslim Program” is an exaggerated response to DWCC's concern about racially inflammatory material,” Judge Walter wrote in his 21-page ruling. “I was so ecstatic about this decision and my eyes welled. This case was very dear to me and we put in a lot of hours,” said Katie Schwartzmann to The Final Call. As the Louisiana ACLU's legal director, she spearheaded the lawsuit. “When I first received a letter from Mr. Leonard in 2006, it immediately got my attention. He filed grievances but was denied. So we decided to file this lawsuit because it became obvious that this was discrimination towards the Nation of Islam,” said Ms. Schwartmann, who studied law at Tulane University. “The more I started reading about the Nation of Islam and The Final Call for myself, the more I became convinced that we needed to take on this case. When they cut off The Final Call from him, they cut off his faith and he is an inmate with impeccable discipline,” said Ms. Schwartzmann. Mrs. Muhammad pointed out the continued opposition to The Final Call and the importance of N.O.I. members continuing to spread its message. “That is why there is such a resistance to The Final Call—not because anyone believes it is racially inflammatory—but because of the depth of knowledge it provides to the reader. It also offers a perspective on news that is not given in the so-called mainstream media. Any Believer who has ever sold or given a paper to one of our brothers or sisters needs to have a great deal of soul satisfaction with this decision and should be reenergized to keep up the fight,” said Mrs. Muhammad.